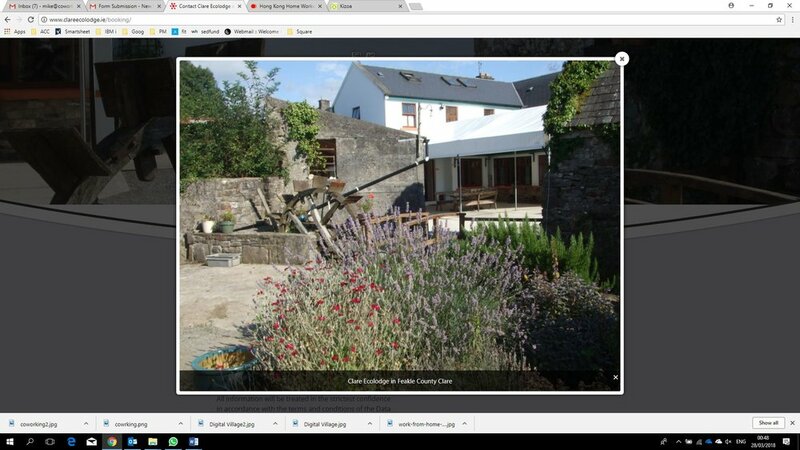 Clare Ecolodge Having discovered coworking while traveling the Loughnanes have set p their own Coworkiation location in Feakle, Co. Clare. Holiday and cowork in the wesy of Irelad. individuals or groups. OCEAN OFFICE SHARE : FANCY WORKING FROM A WARM AND WELCOMING OFFICE WITH SEA VIEWS AND THE BEACH ON YOUR DOOR STEP? THEN GET IN TOUCH AND HOPEFULLY SEE YOU SOON. ALOHA!